As a new mum, Jessica Alba wanted to create the safest, healthiest environment for her family. But she was frustrated by the lack of trustworthy information on how to live healthier and cleaner – delivered in a way that a busy mom could act on without going to extremes. In 2012, with serial entrepreneur Brian Lee and environmental advocate Christopher Gavigan, she launched The Honest Company, a brand where parents can find reliable information and products that are safe, stylish, and affordable. `The Honest Life` shares the insights and strategies she gathered along the way. 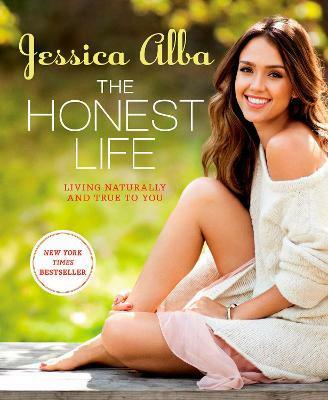 `The Honest Life` recounts Alba’s personal journey of discovery and reveals her tips for making healthy living fun, real, and stylish, while offering a candid look inside her home and daily life. She shares strategies for maintaining a clean diet (with favourite family-friendly recipes) and embraces nontoxic choices at home and provides eco-friendly decor tips to fit any budget. Alba also discusses cultivating a daily eco beauty routine, finding one’s personal style without resorting to yoga pants, and engaging in fun, hands-on activities with kids. Her solutions are easy, chic, and down-to-earth: they’re honest. And discovering everyday ways to live naturally and authentically – true to you – could be honestly life-changing.